The Sims Franchise turns 18 today! Today marks exactly 18 years since the first ever game in The Sims Franchise was released – The Sims 1! The charming 2D graphics and captivating gameplay are what made the game so successful. With so many expansion packs and other additions to the game The Sims continues to be one of the best-selling PC games of all time! Want to take a trip down the memory lane? 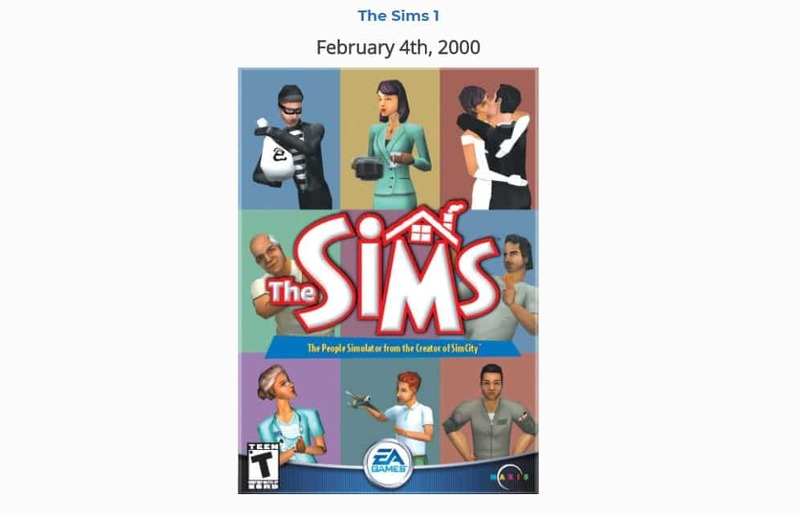 Check out our Timeline page for a full, chronological overview of all games and packs released for The Sims 1, The Sims 2, The Sims 3 and The Sims 4. Most likely because the 2nd was on a Friday and it’s easiest to post on Friday, instead of Sunday.